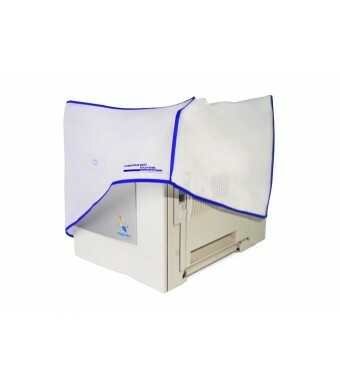 THE HIGH TECH PRINTER DUST COVER SOLUTIONMade of durable yet flexible modern copolymers, this Printer Cover slips over the top of your deskjet or laser printer for serious protection.This protector guards your printer's case and sensitive electronics from dust, moisture, static, oils, paints, children, pets and more. You will spend just a few moments buying this today. You can then spend more time making money and with your family, and less time spending money on new printers. FROM THE LEADER IN DUST PROTECTIONComputer Dust Solutions has been supplying quality printer covers to heavy industrial users and home consumers for over ten years. These printer protectors have evolved to meet the high tech demands of our diverse customers like you throughout the US and abroad.